Hastings,S., Gregory, I. N., & Atkinson, P.(2014). Explaining geographical variations in English rural infant mortality decline using place-centred reading. 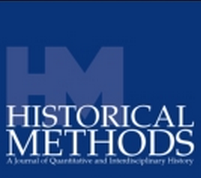 Historical Methods: A Journal of Quantitative and Interdisciplinary History. Hastings, S. (2014). Rhizhome. Tiny House Magazine, Issue 22.
all content designed and published by sarah g. hastings, 2016.